Colour Vibrancy & Beautiful Smoothness! Pantene Pro-V Colour Protect & Smooth Shampoo nourishes your hair and helps protect your colour or highlights against styling damage. For healthy-looking radiance and beautiful smoothness, for hair that shines. Adds a protective layer to help seal hair for healthy looking radiance. Helps protect your coloured or highlighted hair against styling damage. Nurtures colored hair leaving it touchably smooth. 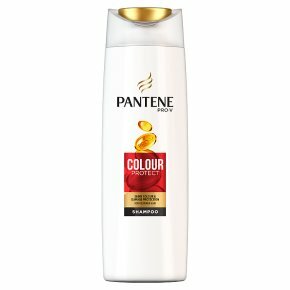 For colored and highlighted hair.Pantene Pro-V Colour Protect gently cleanses, while giving hair active Pro-V Nutrients and helps protect color shine.